I hop in and out of dozens of ConvertKit accounts each month. So you take ConvertKit up on its very nice offer, and select a tag/create a new one. (And if you did this a while ago, you might have clicked back into the link, seen the tag was no longer selected, and selected it again, and saved… possibly several times). 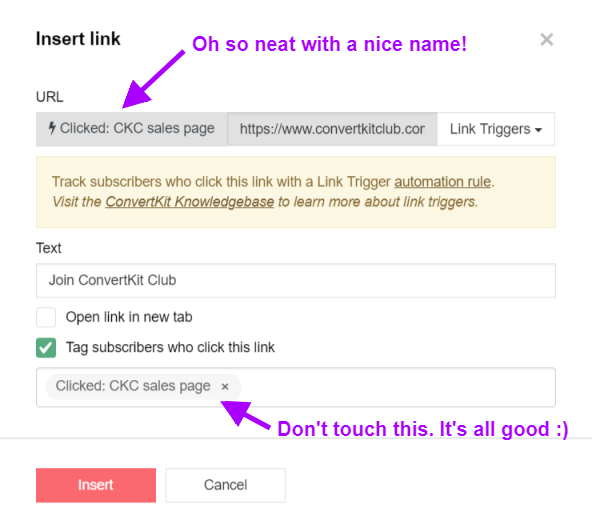 Each time you do this, ConvertKit automatically creates an unnamed link trigger automation rule on your Rules page. Most people I speak to don’t even realise this happens or is the cause of their rule woes. How Do I Stop This Happening?! You’re then going to go back to the email you were writing, save and refresh. Why do I plead with you to do it this way? You can re-use the same link trigger automation rule in multiple emails (both sequence and broadcast). No more rules mess – you’re calmly creating sensibly named things. How Do I Tidy This Mess?! Okay, so all good moving forward, but how do you sort out the hideous mess you’ve accidentally created in your automation rules before you saw the error of your ways?? 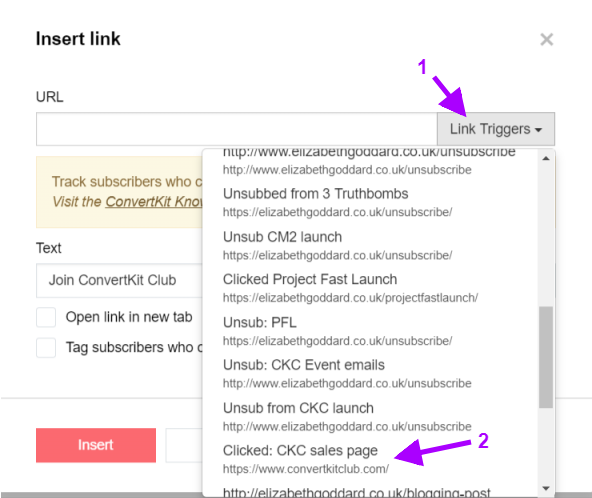 Click into each messy link trigger automation rule and scroll down to the History…. If it’s never been triggered: delete the rule. If it was last triggered ages ago: delete the rule. If it was mostly last triggered ages ago and then a couple more recently: delete the rule. (It was probably in a broadcast/sequence email that sent ages ago but some people weirdly went back and clicked more recently). If it’s been triggered fairly recently: leave the rule as it is but give it a sensible/proper name. If you delete a link trigger automation rule and then someone clicks on that link they still go to the destination url, they just don’t get tagged. That’s it. No biggie. If you change the destination url of a link trigger automation rule, that doesn’t change the url in any emails that were sent. 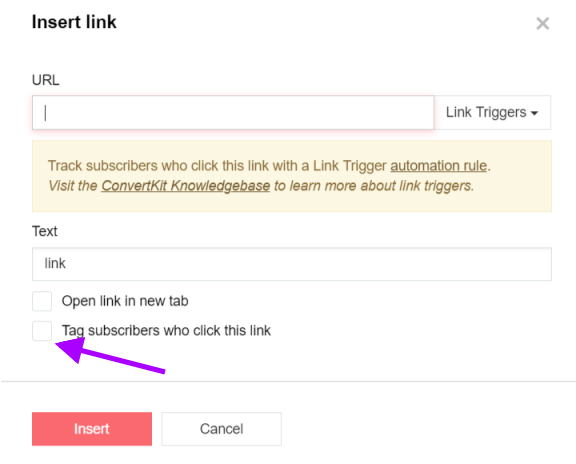 If you change the ‘actions’ in a link trigger automation rule, anyone who clicks on that link trigger in an email from now on will have the new actions applied to them. I encourage you to periodically go through your link trigger automation rules in the way outlined above, even once they’re nice and tidy – you usually don’t need to keep them all around forever, particularly the ones that were in broadcasts. If you’ve found this blog post helpful – please do let me know in the comments! 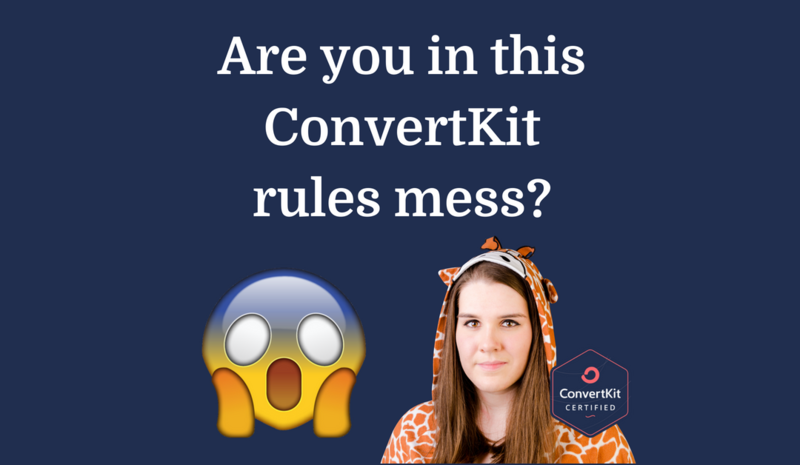 Looking for support and training to really make the most out of ConvertKit’s powerful features for your business? Check out ConvertKit Club. Can’t even face looking in your account any longer and know it’s time to get in the professionals to do a deep clean? Learn more about working with me 1:1. Guilty as charged 🙂 However, can’t you simply create at tag with the email with a sensible name? Thanks so much for this information Elizabeth! I am trying to get everything set up in ConvertKit and already and several rules duplicated.